Plaque removal.Tartar (also referred to as calculus) and plaque buildup, both above and below the gum line, can result in serious periodontal problems. Unfortunately, even with a proper home brushing and flossing routine, it can be impossible to remove all debris, bacteria and deposits from gum pockets. The experienced eye of a dentist or hygienist using specialized dental equipment is necessary to catch potentially damaging buildup. 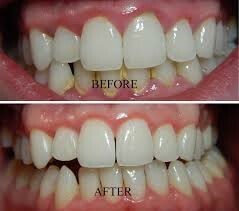 A healthier looking smile.Stained and yellowed teeth can dramatically decrease the esthetics of a smile. 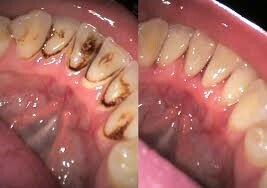 Prophylaxis is an effective treatment in ridding the teeth of these unsightly stains. Fresher breath.Bad breath (or halitosis) is generally indicative of advancing periodontal disease. A combination of rotting food particles (possibly below the gum line) and potential gangrene stemming from gum infection, results in bad breath. The routine removal of plaque, calculus and bacteria at our facility can noticeably improve halitosis and reduce infection. Prophylaxis can be performed at our office. We recommend that prophylaxis be performed twice annually as a preventative measure, but should be completed every 3-4 months for periodontitis sufferers. It should be noted that gum disease cannot be completely reversed, but prophylaxis is one of the tools Dr. Your Last Name(s) can use to effectively halt its progression.